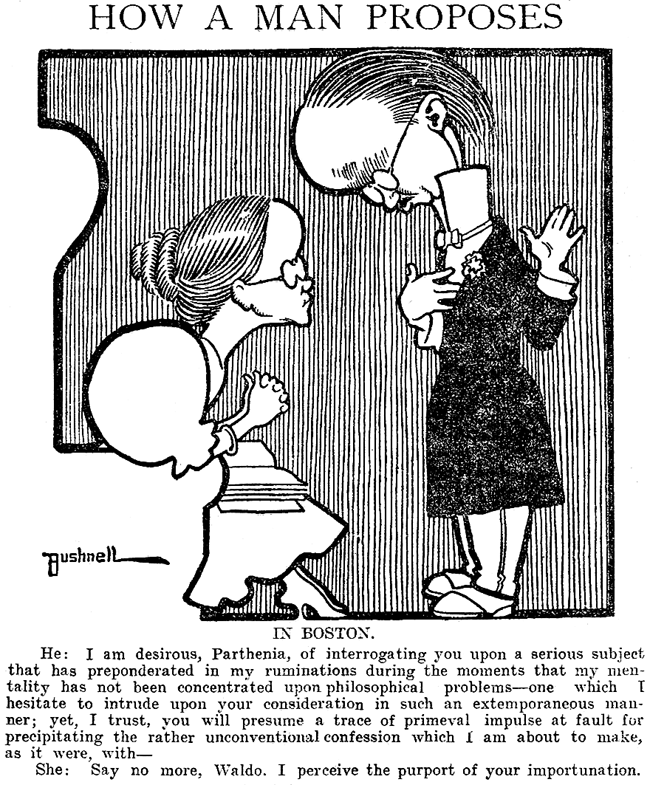 Wednesday, January 22 1908 -- "The Education of Mr. Pipp", a play based on the characters created by cartoonist/illustrator Charles Dana Gibson, arrives in Los Angeles and is duly memorialized by Herriman. William M. Goodes was born in Portage County, Ohio in March 1857; his birthplace was reported in a Philadelphia Inquirer obituary, and the birthdate was recorded in the 1900 U.S. Federal Census. In the 1860 census Goodes was cited as the youngest of two sons born to Edward and Annie; they lived in Philadelphia, Pennsylvania. His father was a painter. In 1880 Goodes was married to Margaret, and they had a two-year-old son, Edward. They lived in Philadelphia at 1531 21st Street. His occupation was lithographer. On Easter 1889, elections were held in Protestant Episcopal churches; Goodes was elected to the vestry at St. Albans in Roxborough. William M. Goodes, an artist, whose original ideas and skill in sketching won him wide fame as a comic illustrator and cartoonist, died yesterday after a week's illness of uremia at his home in Roxborough. He was born sixty-three years ago in Portage County, Ohio, while his parents, who were Philadelphians, were living there. They returned to this city with William when he was two years old. Mr. Goodes began his career as a lithographer, and while following that line took courses in the Academy of Fine Arts. Soon after he was placed in charge of the art department of the John D. Avil Company. While connected with the Historical Publishing Company he illustrated the Henry M. Stanley book, "African Jungles." He also illustrated Bill Nye's last work, "Comic History of England." For a time he was associated with George V. Hobart when the playwright was writing comic sketches. 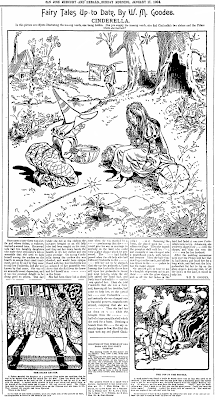 For twenty years he contributed the comic sketches for Lippincott's Magazine. Other publications to which Mr. Goodes was a frequent contributor included Puck, Judge, Harpers' Round Table, Texas Siftings and the Century. He followed his profession until his last illness. Mr. Goodes when a young man was a member of "the State Fencibles" and served with that command in the Pittsburgh riots. He is survived by a widow, Mrs. Margaret E. Goodes; a son, Edward A. Goodes, and a brother, Thomas A. Goodes. 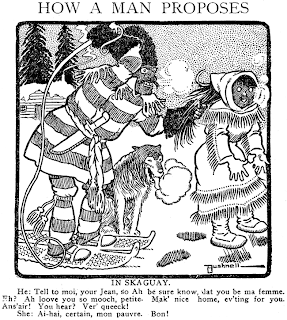 Some of Goodes' Lippincott's Magazine work can be viewed at Yesterday's Papers. Robert E. Brook was born in Arizona in May 1885 as recorded in the 1900 U.S. Federal Census. An obituary in the Baltimore American said he was born in Tucson, Arizona. The Brook family lived in Los Angeles, California at 2123 Ivers Avenue. Young Brook's occupation was candy maker. According to Edan Hughes’ Artists in California, 1786-1940, Brook was a resident of Los Angeles from 1900 to 1906, and exhibited in the Los Angeles Press Artists Association in 1906. The Los Angeles Herald reported, on December 12, that the exhibition would be at the Alexandria Hotel parlors on December 18, 19 and 20. The artists included Arthur Dodge, E.E. McDowell, George A. Grant, A.L. Ewing, Clarence Pugsley, J. Coxen, Oscar M. Bryan, H.J. Turner, R.C. 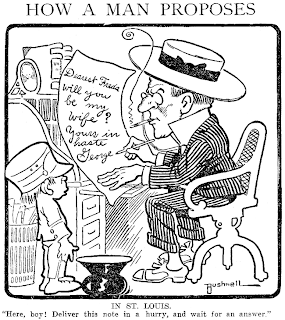 Springer, George Herriman, E.O. Sayer, Jr., A.S. Wheeler, Henry Ivene Hawxhurst, L.T. Johnston, R.P. Strathearn, J.D. Johnson, R. Gale and George Baker. Brook was on the move in California and Hawaii then headed east, and settled in Baltimore. 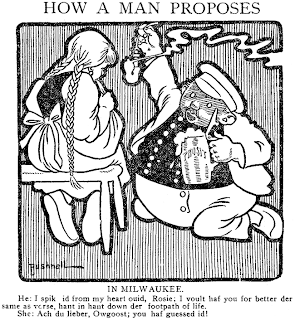 On February 5, 1911, the Baltimore American reported the exhibition of cartoons at the Charcoal Club. Work of Thorndike and Brook at Charcoal Club. 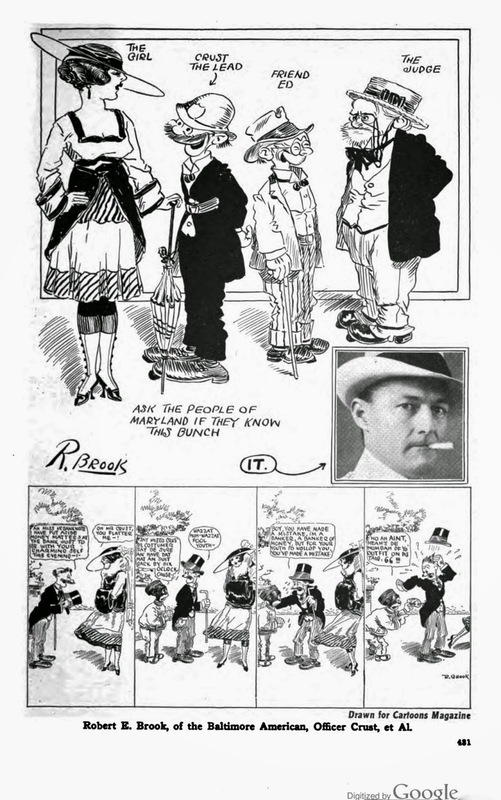 His comic strip, Officer Crust, was introduced, without fanfare, in the American on Monday, October 30, 1911; it was signed “R Brook”. The strip’s popularity apparently produced at least one merchandising item as recorded in the Catalog of Copyright Entries, Part 4, 1912, New Series, Volume 7, No. 2, on page 175. Officer Crust: by R. Brook. [Grotesque statuette of policeman with hands clasped, leaning forward laughing.] © 1 с June 5. 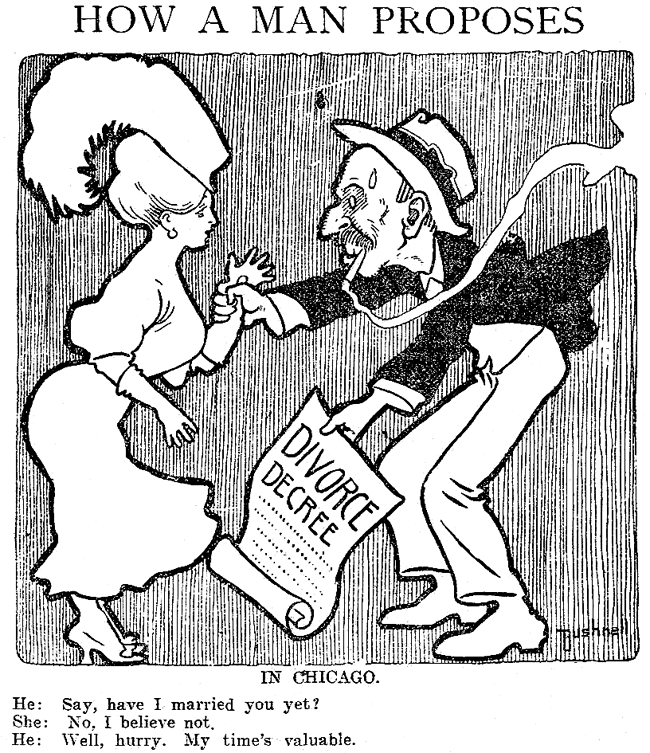 1912; G 41005. 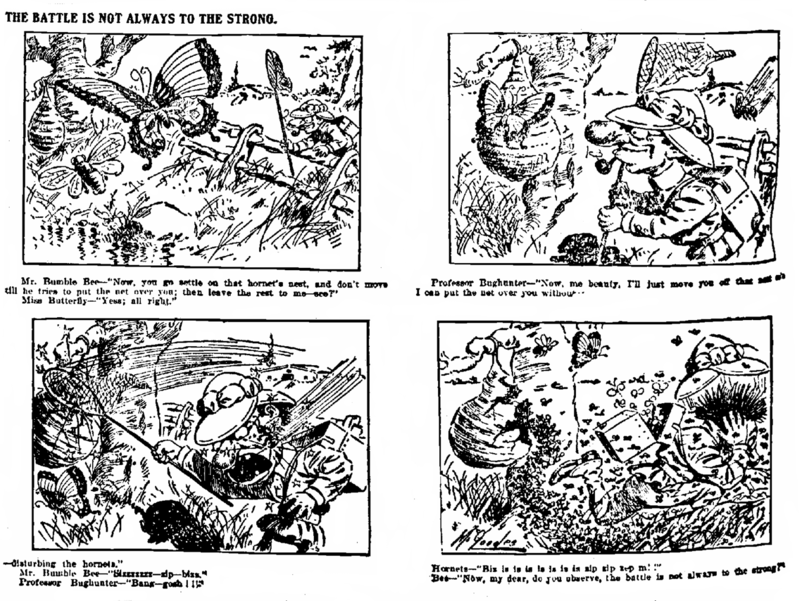 Brook contributed to Cartoons Magazine, September 1917. 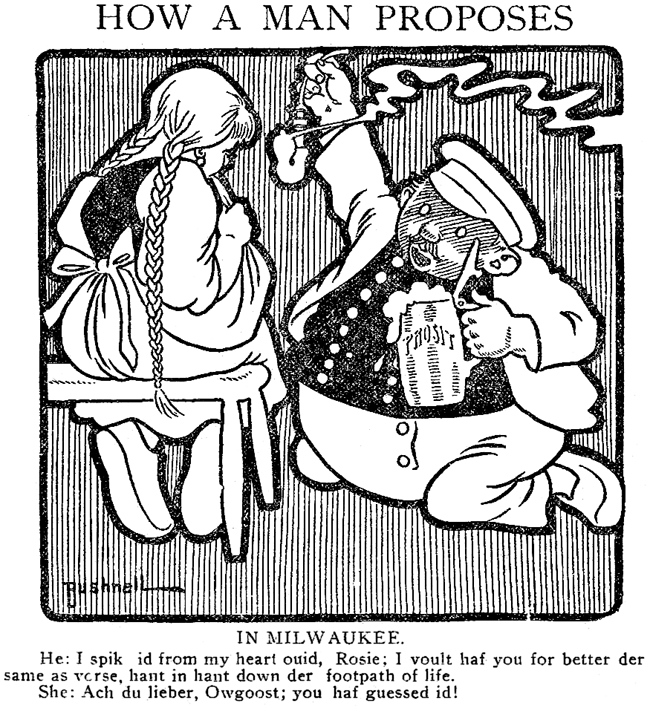 Was Creator of Officer Crust In The American—His Cartoons Pleased Thousands. 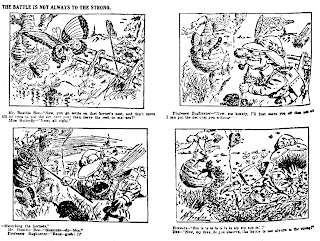 After a prolonged illness of nervous trouble, Robert E. Brook, creator of Officer Crust and a number of other cartoons which appeared in The American and The Star, died Tuesday [September 10] at Spring Grove State Hospital, Catonsville. Several months ago he suffered a breakdown. He received treatment at the Phipps clinic and later went to Spring Grove. He was born at Tucson, Ariz., and is a son of Harry Brook, an Englishman, who is at present editorial writer on the Los Angeles (Cal.) Times. Brook’s father drifted out to the great West in the early eighties and started a newspaper in Tombstone, Ariz., which he called the Epitaph. In spite of its name, it was a very live sheet. 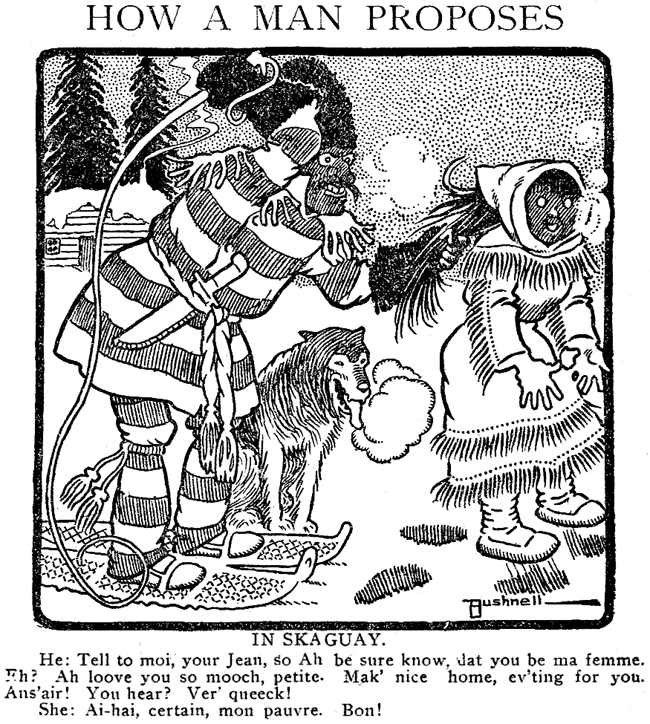 Young Brook was nursed by an Indian squaw, who carried him around in a blanket. At an early age he was taken to Los Angeles, Cal., and placed in school much to his disgust but after a brief sojourn in the halal of knowledge he started his active career as a bill peddler for a tea house. Then he became a helper in a candy factory. His first job on a newspaper was with the Los Angeles Herald, where he worked in the pressroom, the mailing department, stereotyping-room, the business office and, finally, in the art department as a helper, where he was put to making layouts for half-tones and the drawings of simple line pictures. As he grew older he drifted away from the newspaper game and took a fling at the theater. For a time he was property man at the Los Angeles Opera House. Then he went on the road and became a regular stroller. 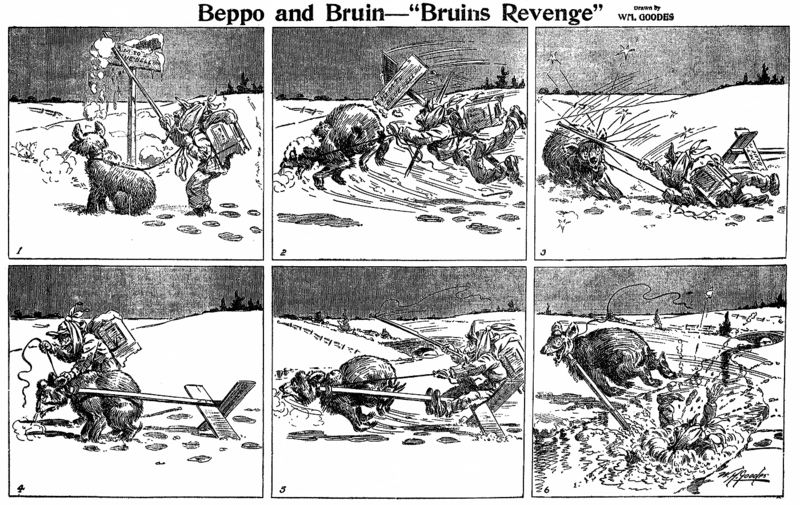 Later he joined the staff of the Los Angeles Times, where he drew sport cartoons, layouts and news sketches. He left the Times very abruptly one morning at the lament suggestion of the managing editor, and after drifting about hit San Francisco and landed with the art department of The Chronicle. After leaving The Chronicle he went back to the show business as assistant property man at the Grand Opera House in Frisco. Next he struck out for Honolulu with a stock company, returning to Frisco in time for the great fire. From Frisco he went back to Los Angeles and helped build up the Press Club. Then for a time he went on a farm, learning how to raise oranges. It was about this time he received a position with the Washington Times. 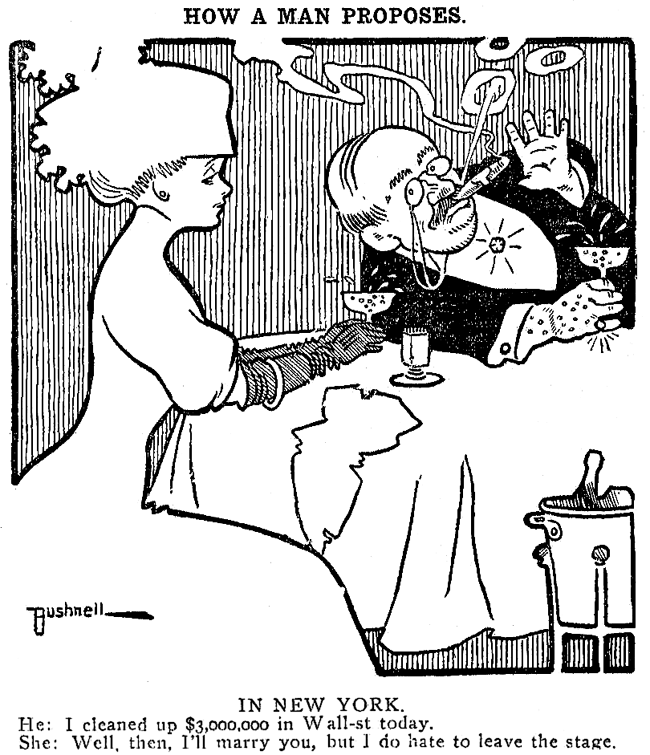 His next venture was in New York in 1907, the year of the panic, but as there was very little doing he turned Southward to Philadelphia and got a berth under Pop Scholl [probably actually Paschall -- Allan] on the North American. 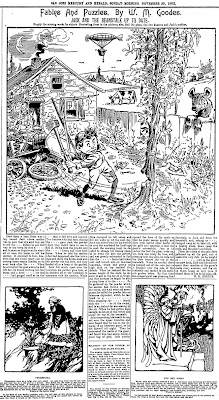 From that paper he went with the Philadelphia Telegraph as sport cartoonist and from there to his last position with The Baltimore American and The Star. It was while working for these papers that he evolved his most popular comic strip character, Officer Crust. Brook seldom talked unless he had something to say. During his career with The American he made many friends in this city, especially among the business men who furnished him with quips for his cartoon characters. He is survived by his father and mother, a widow (Mrs. Ora Brook, who before her marriage was a Miss Dooley of [illegible] Reisterstown road), three daughters (Katharine, Ora and Margaret Brook) and two brothers and four sisters. The funeral took place yesterday. Burial was in Western Cemetery [Baltimore]. I suppose there's something to be said for turning to the comics page of your daily paper and seeing the same faces staring back at you every day. Howdy Snuffy, how's it goin' Beetle, hey, still lookin' good Blondie. 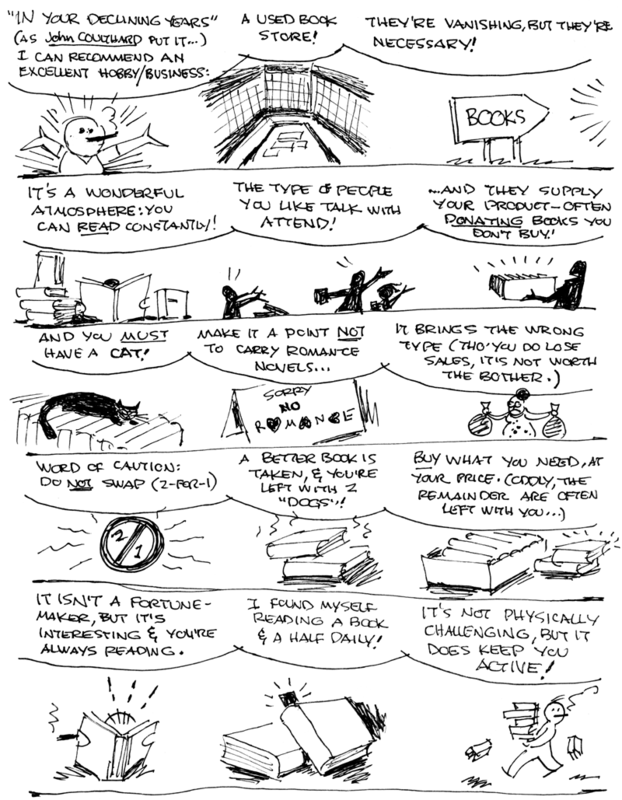 Consistency can be enjoyable, and seeing reliable old friends every day does lend life some pleasant continuity. But back in the nineteen-oughts, before market forces, syndication and lazy editors remade the comics in that cookie cutter mold, you had an experience that is also pleasant -- the anticipation of the new and unknown. Take How a Man Proposes, for example. 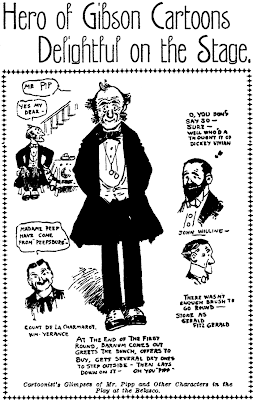 Cartoonist E.A. 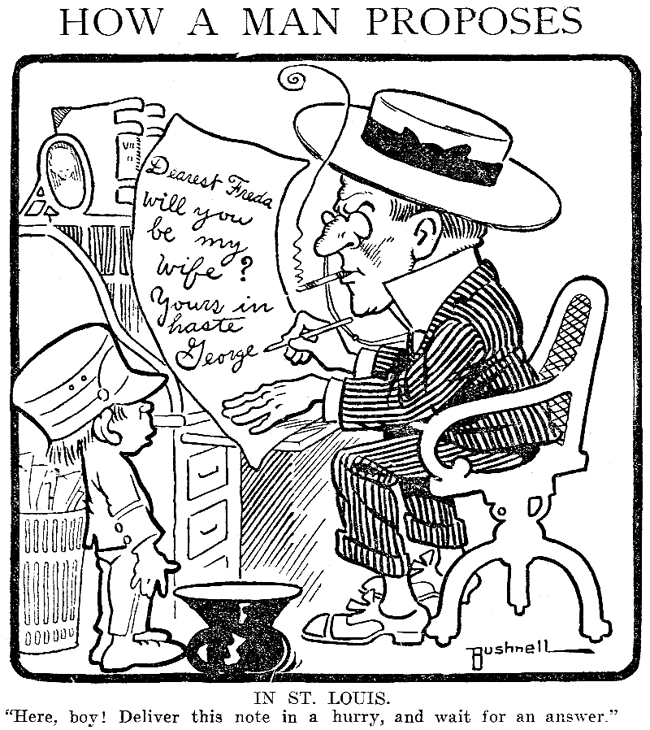 Bushnell penned this series with no thought in his mind about licensing possibilities or how he'd come up with a gag that worked for his feature every day for the next umpteen years. No, he just thought of a cute idea, drew as many episodes of it as he could think up, and consigned it to history. 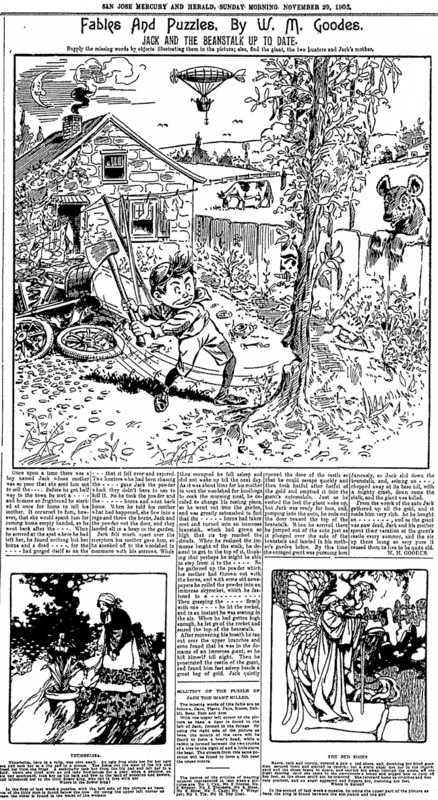 Newspaper readers in the boonies (where NEA, the syndicate responsible, was king) opened their papers on August 6 1907 not knowing what particular cartoon entertainments they might find that day, and what they did find was the first installment of this series, which then ran seven times over the span of the next three weeks, ending on the 22nd. No fuss that the delightful little series was over, just the anticipation for what might come next. Thanks to Cole Johnson for the scans. Very nicely designed strip. And if you put yourself in the right time, pretty funny too. The regional characters, like all stereotypes, had a grain of truth to them. 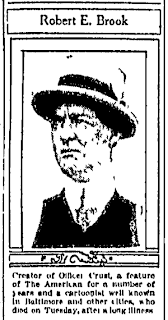 Readers of 100 years ago would easily guess a prudish, overly devout figure as a Philadelphian, or a middle class man pushing a pram as a Brooklynite. Obviously no longer, because just like the funnies you described, we have been lost so much of our regional culture that we're all squeezed into that cookie cutter mold, amush in a mass media murk of mediocrity. Elmer Andrews "E.A." Bushnell was born in Bloomfield, Ohio in July 1872. His birthplace was reported in the Mansfield News Journal (Ohio) on January 28, 1939, and his birthdate was recorded in the 1900 U.S. Federal Census. In the 1880 census Bushnell was the youngest of three children born to Wells and Emma. The family lived in Warren, Ohio at 65 Prospect Street. Around 1899 Bushnell married Alice. 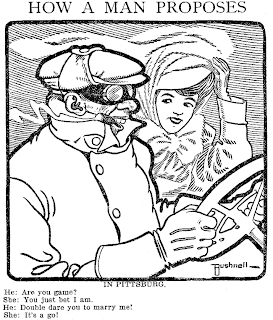 Editorial cartoonist, active in Cincinnati (Hamilton) during the early 1900s. ...Foremost in these efforts were the biting cartoons drawn by Elmer A.
for Harper's Weekly, had helped topple New York City's Boss Tweed. According to the 1910 census, Bushnell had moved to Memphis, Tennessee, at 520 Vance Avenue. He gave his occupation as commercial artist for a newspaper. 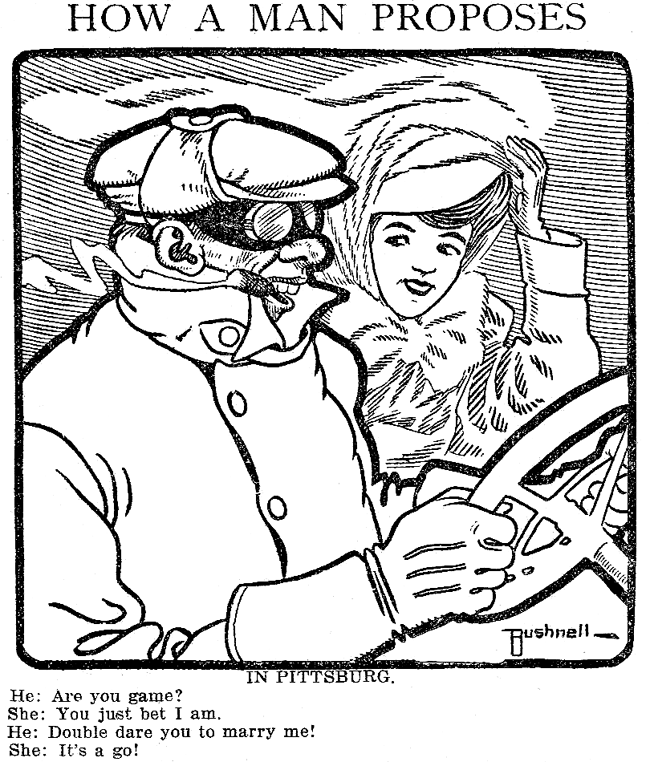 On the move again, Bushnell was a newspaper artist in Cleveland, Ohio, where the couple lived at 987 East 105th Street, as recorded in the 1920 census. sparkle with originality and brilliancy. The Williams' Cincinnati Directory 1936-37 listed the Bushnell's at 8 Westminster Flats. Bushnell passed away on January 27, 1939. News of his death was published in The New York Times on the 28th. of pneumonia. He was 67 years old. York Journal. His widow survives. 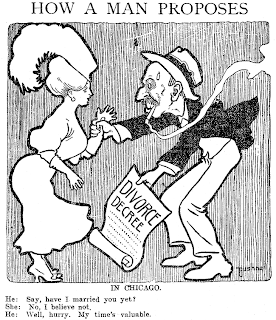 When the Chicago Tribune first bowed to the popularity of Sunday color comic sections and inaugurated their own, they were obviously a little uneasy about the whole concept. For the first few years the section was text heavy, as if they were trying to create something halfway between a funnies section and an issue of Puck or Judge. 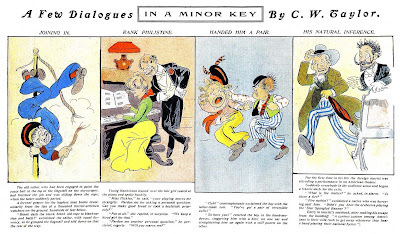 This feature, A Few Dialogues in a Minor Key, was sort of a last hurrah for that philosophy before the section finally became comics from stem to stern. 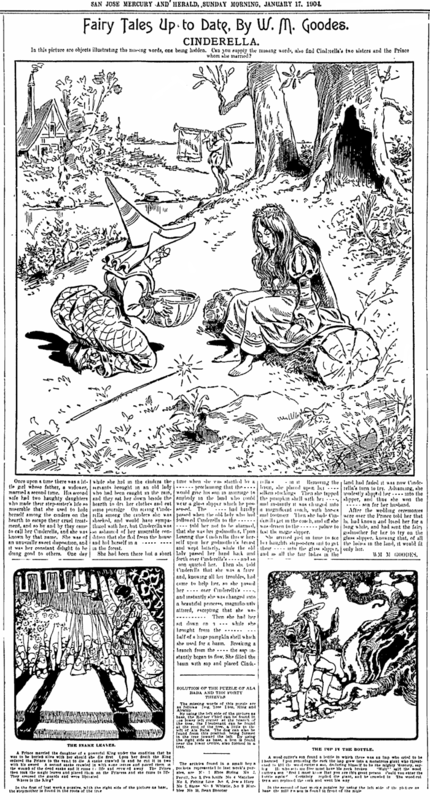 The feature, which lasted only a month, was a potpourri of gag cartoons and jokes. The writer, Charles W. Taylor, was a humorist of small note who, based on these examples, never thought up a joke he couldn't obfuscate into a few paragraphs of drivel. 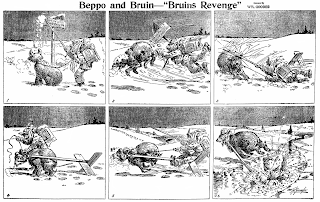 The cartoonist was Louis Dalrymple, one of the less gifted members of the Puck crew of the 1890s. He was destined to go insane and die in 1905. A Few Dialogues in a Minor Key ran from January 18 to February 22 1903 in the Tribune. Thanks to Cole Johnson for the scans! I don't think it's just differing tastes that make these jokes excruciating. Even in 1897 an editor could easily have trimmed them to a dozen words. Win some,lose some. I wonder what the joke about people rushing for the exits when they hear "The Star-Spangled Banner" refers to. My assumption was that they played the Star Spangled Banner at the end of a performance back then, and everyone took that as their cue to vamoose. But can anyone explain what the joke is in the one about the sailor sliding down the flagstaff? That one had me scratching my head. In the 1960s computers and robots were already very much on the public mind. The common wisdom was that they were going to replace us in all of our jobs, then they'd take over the world, and that eventually they would see mankind for the second-raters we are and exterminate us as a lower life form. Luckily it turns out that they're just turning us into inert blobs, too busy playing video games, updating our Facebook pages, tweeting and making blog posts to bother having an actual life. Thank goodness we dodged that bullet. In 1965 John Somerville took a different tack in Stanley Steamer. He chose to portray robots as cute and cuddly, and featured a happy-go-lucky little steam-powered robot in the starring role of his strip. Stanley is the creation of Mr. Fink, a sour little genius who has no end of trouble getting his robots to perform the way he wants them to. The strip really had a lot going for it, and I'm surprised it wasn't a hit. 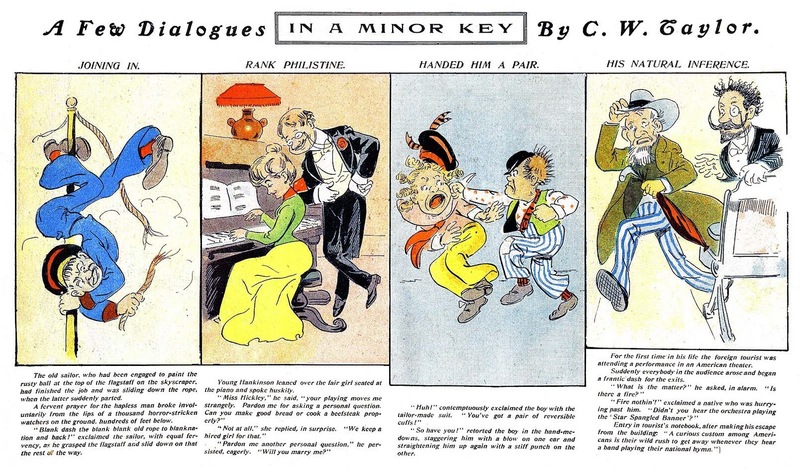 It was syndicated by impresario Lew Little, whose stock-in-trade at the time was to pick up a strip that he liked, sell it to a few papers, and then shop it around to the major syndicates as a success story already in progress. At the same time as he was shepherding Stanley Steamer, he was doing the same with Tumbleweeds and Wee Pals, so he definitely had an eye for picking winners. Unfortunately Stanley Steamer doesn't seem to have caught the fancy of any of the major players, and the strip, which began on November 29 1965, made it into 1966 but no farther. I don't have an end date for the strip; my latest samples are from April, but it was advertised in the 1966 E&P Syndicate Directory, so I'm assuming it lasted at least into the summer months, if not longer. Edit: The Philadelphia Evening Bulletin ran it to the end, on November 19 1966. Thanks to the tag team of Mark and Cole Johnson for dredging that out of the memory banks and checking the microfilm! I don't have the ending date of this strip, though reading it daily in the Philadelphia EVENING BULLETIN, I do remember the final installment; Stanley bids us adieu, riding on the back of a crowded, open bed truck, heading into a junk yard, where I suppose he'll be torn asunder and recycled. It would be the perfect job for me in retirement... unless I can get a gig playing cards. Hmmmm.... seems Jim worked that in with the bookshop. I always knew he was a genius! My best to a man who is a legend in the cartoon industry! Jim Ivey has to be one of my all-time favorite people!